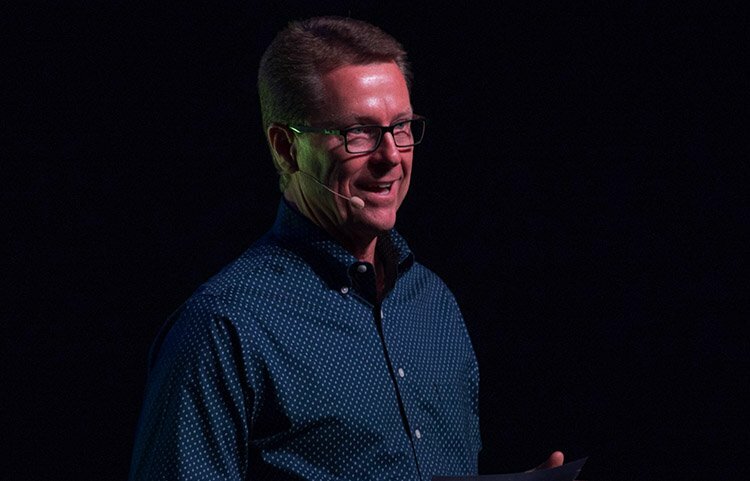 During his Chapel talk Monday, Dr. Tim Griffin talks about preparing for spiritual warfare. 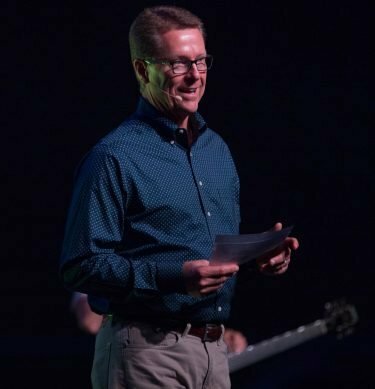 The timing of Dr. Tim Griffin’s good news on Monday couldn’t have been more appropriate. It came at a time when the world had woken up to new notifications of a mass shooting that killed more than 50 people in Las Vegas. Griffin delivered a passionate Chapel message about the reality, difficulty and tragedy of spiritual warfare that is present today, to a packed crowd of students and staff in GCU Arena. Then, he reminded them of the best news they could ever hear: Jesus Christ rose from the dead and ever lives to make intercession for those who know Him and love Him. “We come to a space like this after a day like today and we want to just have a respite from the pressures of life. We kind of want to escape into this dark room with these great songs and be with our friends who are exalting Christ. … Church can sometimes provide that for us but my fear is that we will march off into the rest of our lives not being aware of how difficult it is, and where the land mines are that can injure us if we are not careful. Griffin also shared some of the challenges he encountered throughout his own years of marriage, moving and raising children. “To succeed it takes commitment to fighting through the challenges you face,” he said. “That wedding date was four or five months after graduating from college,” he said pointing at the screen behind him, where he was pictured with his wife on their wedding day, 35 years ago. On that same note, Griffin emphasized that those who are engaged in Christ will encounter spiritual warfare. “That message of forgiveness, redemption and life has been the message of the church for thousands of years,” said Griffin. After choking back tears for several seconds, Griffin said he hoped listeners would pause and think, but most importantly, not lose sight of that message. “There is nothing that you can accumulate and accomplish in this world that will save your soul – only Jesus and what he came to do,” he said. ● To hear a replay of Chapel, click here.